My name is Sophie Hood. I am a costume maker and teacher. I want to explore the connections between theater arts, technology, and the fine arts. Specifically, I’m interested in integrating technologies such as arduino, as well as eco friendly/reuse materials into costume in order to create interactive, artistic costumes that in turn help more effectively tell stories. 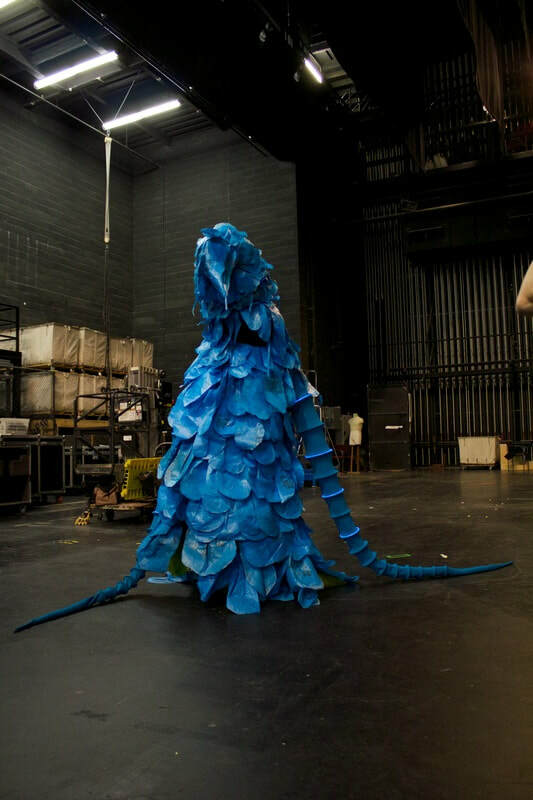 With an undergraduate degree in sculpture, and an MFA from Carnegie Mellon University in costume production, I’m working to take these skills, and while working collaboratively with designers, create functional, well made, and innovative costumes. I play the fiddle and speak Japanese. I enjoy reading and drinking tea. I am an avid deep water aerobics enthusiast and I love to cross country ski when there's snow (and inline skate when there's not!)! I am a die hard Star Wars fan! I spent my childhood in San Francisco, CA and moved to Vermont for high school. I went to Dartmouth College for my undergraduate education where I studied Japanese, sculpture, and music. I studied abroad in Tokyo, Japan, as well as in London, England. On the side I learned jewelry making and metal smithing and spent my college career working part time at the student jewelry workshop where I discovered my passion for wearable art and teaching.. After a couple of years exploring life as an artist and teacher, I made my way to Carnegie Mellon where I enrolled in the Costume Production MFA program with the goals of refining my skills as a maker and learning new skills to integrate into my art. For the past four years I have been teaching adult and children's classes at Cut and Sew Studio and working as an adjunct instructor at CMU, while also taking on interesting projects for private clients. I recently moved to Berkeley, CA and currently work at Stonemountain and Daughter Fabrics and teach at my studio, Little Bird Studio. I also do some work here and there for local theaters and private clients. The Bag Creature, 2014. Wearable sculpture with integrated tech (LEDs that respond to sound via an Arduino Lilypad, EL wire). Made out of plastic bags. I believe that anyone can create. I strive to be the best teacher I can, sharing my skills and experiences so that we can grow together. If you are interested in my work and have any questions, please don't hesitate to contact me. I do some private work for clients and do take on students for private lessons, small group lessons, and child/parent lessons at Little Bird Studio (My home studio) . Please email me for more information.